Nathan Outlaw is known for being the master of British seafood, working with the very best produce his band of trusted Cornish fisherman have to offer. For the most part his recipes in this collection favour simple techniques and thoughtful flavour combinations in order to let the quality of his ingredients shine through. 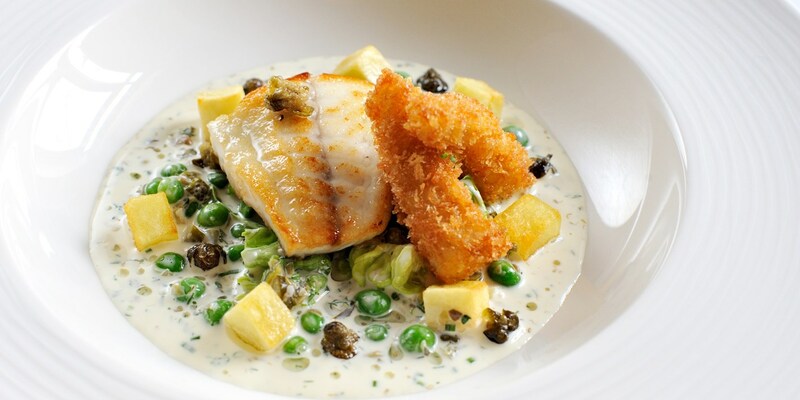 For an easy - but impressive - midweek meal Nathan Outlaw's Grilled bream with mustard and tarragon sauce recipe can be prepared in under an hour, while if it's a Friday his Fish and chips, made with hake fillets and served with homemade tartare sauce, seems an obvious choice. The chef also has an impressive repertoire of dessert recipes, including Pear tart and Tregothnan tea ice cream, made with locally grown Earl Grey tea.